Iba ang Summer kung Kapamilya Ka! Iba ang TIBOK ng PUSO Kung Kasama Mo ang KAPAMILYA Mo! ABS-CBN broadcasts PandayABS-CBN 2 is the company's main channel, targeted at the general Philippine audience. Studio 23 is targeted at the middle-to-upper class youth market, with the slogan "Kabarkada mo" (Your buddy). The ABS-CBN News Channel (ANC) is the first and only real 24-hour, seven days a week (24/7) news channel in the Philippines, geared toward the AB market (prominent businessmen,influential decision-makers both in the economic and political fields). Previously known as the Sarimanok News Network (SNN) via cable broadcast. ABS-CBN broadcasts a variety of programming in its different terrestrial networks and cable channels. These include news and current affairs shows, documentaries, dramas (mostly locally-produced soap operas), canned foreign shows, entertainment news and talk shows, game shows, variety shows, musicals, sitcoms, educational shows, religious programs, children's shows, sports shows, arts and lifestyle programs, and reality shows. The broadcast compamy's different channels also have specialized programs aimed at different audiences. 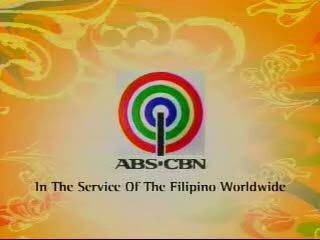 From time to time, the different channels of ABS-CBN produce and broadcast television specials such as regional festivals, concerts, cultural events, and sports events. Most of the network's programs are produced at the network's broadcast complex in Quezon City. The regional stations also produce programs aimed at local audiences at the network's regional broadcast complexes. Last 2 Nights sa PRIMETIME BIDA!